Mundosparalelos Information Plymouth Incinerator is wrong and so is Plymouth City Council! 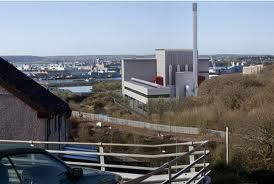 Incinerator is wrong and so is Plymouth City Council! On December 22nd Plymouth City Council will decided whether or not to give the go ahead for the controversial Incinerator at Barne Barton. For many the idea of having an incinerator in the middle of a built up residential area is completely insane and I haven't spoken to one person who seems to think the incinerator is a good idea. I understand that the issue of waste must be addressed but have to question why we are buying outdated German technology to deal with the issue (another council backhander perhaps?). I think the 'Incinerator is wrong' group sum it up perfectly with their tag-line "The wrong solution in the wrong place". Aside from the concerns about air pollutants one of the big concerns is the huge number of lorries that will need access to the site, these lorries will have to drive past local schools and houses. I also have to question why the plans for the incinerator have changed so much during the planning application going from an almost attractive building, in the early stages, to an industrial monstrosity (see picture top). My other main question is that if the pollutants are so harmless then why do we need a 95 metre high chimney? It seems Paul Winterton may have the answers with his anaerobic digestion plant at Langage Farm in Plymouth; Paul claims to have one of the best plants in the UK when it comes to waste to energy and he reckons he might be able to win some of the contracts from the proposed Barne Barton site. Whilst Paul offers a much greener alternative to MVV Umwelt he also offers a solution to the traffic problems associated with the Barne Barton site; Langage sits on the edge of the city next to the A38, heavy vehciles and machinery can access the Langage Site with minimal disruption to local residents. Check out the Langage farm blog and the Wrap site which works towards a world without waste. In my opinion it seems as if certain members of Plymouth City Council already see this as a done deal showing the usual arrogance and contempt they have for the people they are meant to be serving. I am of course referring to some of our senior council members and executives, those that have refused to take a pay cut despite being advised to do so by the home secretary, those that put their own agenda before the people who pay their wages, those that can impose severe cuts to lower level front line public sector jobs hitting the people who can least afford it. I hope that the people of Plymouth remember these facts when it comes to the local elections in 2012, think about which members of the cabinet felt it necessary to pay for an all expenses trip to the South African World Cup, which members backed the white elephant that is the Life Centre, those who felt it more important to save a football club than the city's airport, I could go on but I think the majority of Plymothians already know.